Day trips from Split to Croatia’s most beautiful islands are now easier than ever. 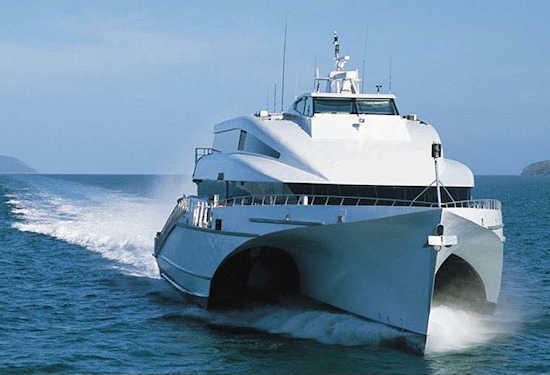 A brand new passenger ferry service is scheduled to start in mid-June and run until mid-September. The Krilo Eclipse makes a daily run from Split to Bol, Makarska, Korcula, Mljet and Dubrovnik and then heads back. Imagine this: Start bright and early and catch the 7.30 ferry to gorgeous Bol on Brac island, near stunning Zlatni Rat beach. Arrive at 8.15, just in time for the morning rays. Spend the day and catch the return ferry at 7.15pm. Is that too long on the beach? You could also catch a different 11:40am ferry from Bol to Split and be back in Split for lunch. The boat arrives in Makarska at 8.55 but honestly, a bus is much faster. 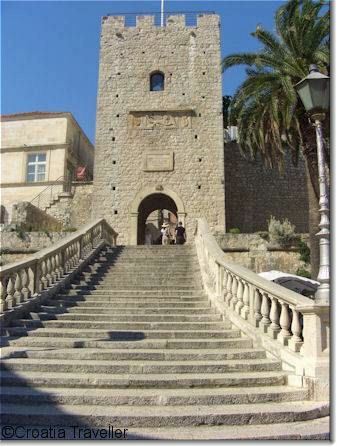 Stay on the boat and arrive in Korcula town at 10:10. There you have plenty of time to appreciate the Venetian Gothic churches and monuments clustered on this walled peninsula. Take the boat back to Split at 5.40pm or a different boat at 6.30pm and arrive back in time for dinner. 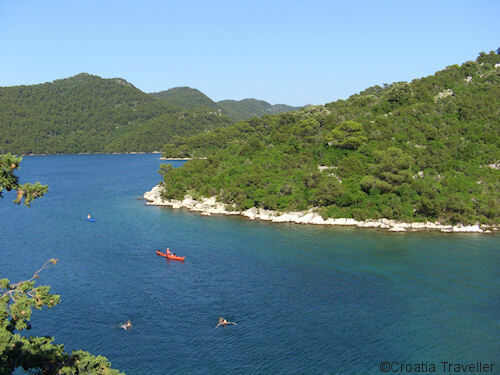 Mljet Island National Park is one of Croatia’s most unspoiled islands, rich in vegetation and with two inland lakes. You would arrive at 11.10am and get the 4.50pm boat back but the boat drops you off in Sobra which requires a taxi to the park entrances at Pomena and Polace. Not recommended. It makes more sense to visit Mljet on this catamaran to Pomena which gets you there at 10.40 and doesn’t leave until 5.50pm. Or save Mljet to do as a day trip from Dubrovnik on the Nona Ana ferry which goes to Polace. It’s of course possible to take the boat instead of a bus to Dubrovnik. It is certainly more scenic but adds about an hour to the transport time and is vastly more expensive. Your call. The ferry is run by Krilo but schedules and prices are not yet on their site. I have confirmed that it will run as scheduled though. Online booking will be available soon.